Canon is finally launching a new full frame camera. The Canon 6D Mark II is the first ever refresh to Canon’s cheapest full frame camera, the Canon 6D (now Canon 6D Mark I), and it might actually fix all the Mark I’s problems. 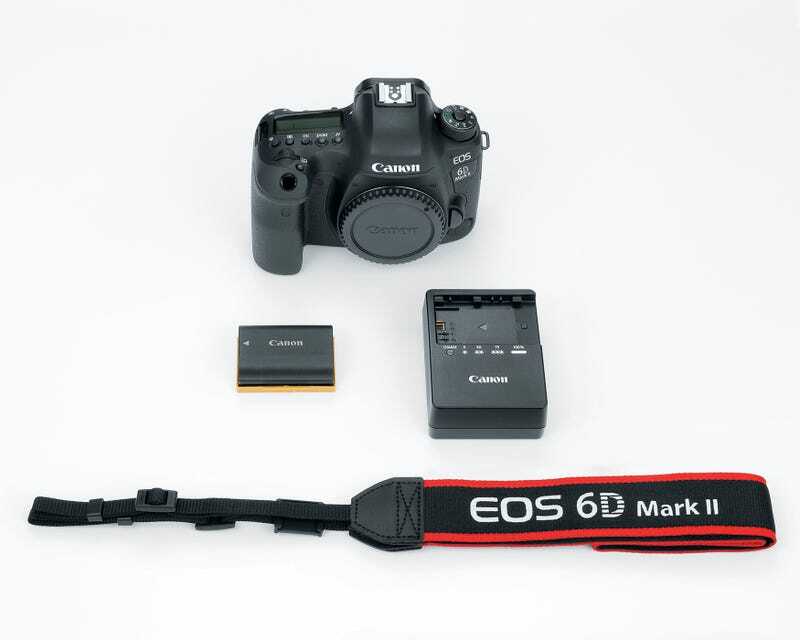 The original 6D launched back in 2013, and, at the time, was one of the cheapest full frame cameras you could buy. Professional shooters and serious hobbyists prefer full frame cameras over cheaper and lighter cropped sensor and micro four third cameras because the larger camera sensor allows you to shoot more of what you’re looking at and provides a better field of view. They’ve particularly preferred the original 6D over other cheap full frame cameras because it was perfect for astrophotography as its sensor was super sensitive, capturing more light than other full frame cameras. Full frame pro cameras tend to avoid an articulating display because it could break off and might harm any weather sealing. That hasn’t stopped camera users from begging for one. But the original 6D had some big drawbacks that make it feel positively ancient nowadays next to full frame offerings from Nikon and Sony. In particular, it has a static display with zero articulation and a measly 11 points for autofocusing. The first is terrible if you’re trying to use the 6D to shoot video (which it was initially promoted as being great for), and the latter is terrible as it makes it nearly impossible to shoot action or sports. The 6D Mark II changes that. The display on the back of the camera is fully articulated—a first for a Canon full frame camera—and it has 45 point autofocus. Those are both huge improvements commonly found in the pricier cropped sensor Canon cameras like the 80D. The Canon 6D Mark II also has a 26.2 megapixel sensor and the ability to autofocus in video mode. Those are all wishlist items for Canon fans who have been waiting for the 6D Mark II, but if you’re such a fan you’ll be disappointed to learn that the 6D Mark II lacks some of the other dream features. 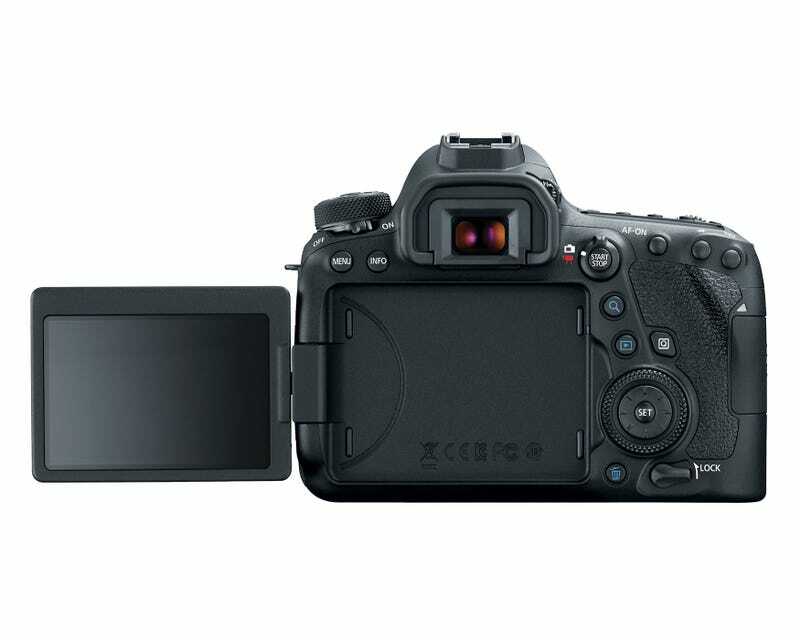 RAWs go straight to a single SD card slot—no dual slot and no Compact Flash slot. It also doesn’t shoot 4K video. When asked why Canon told Gizmodo and other reporters that “4K is a conversation. On cameras like this, it’s a very heavy format and very large file.” In layman’s terms—Canon felt that the size and complexity of a 4K shooting mode weren’t worth having in its entry level full frame camera at this time. If you want that or the better file backup the dual SD card slots afford you’ll need to shell out for a pricier camera like the Canon 5D Mark IV or that slick new Sony a9. The new Canon 6D Mark II will start shipping in July and the body alone will retail for just £2,000. That’s a full £100 less than the original 6D’s launch price—a very attractive option if you’re like me and have been pondering selling all your Canon glass (lenses) to pick up a Sony a7r II or just upgrading to a Canon 5D Mark III or Mark IV. In addition to the (finally) updated 6D, Canon has also announced an update to its cheapest DSLR. The Canon EOS Rebel SL1 will be ramping down production as the new Rebel SL2 takes its place. The SL2 will have 9 autofocus points and a 24.2 megapixel sensor that’s identical to the one found in the Canon 77D. Super affordable DSLRs tend to age much faster than fancier ilk like the 6D, with their autofocus and low light abilities improving dramatically with each iteration—which means if you love a cheap camera and have no desire to lean into the micro four third ecosystem than something like the new SL2 could be right up your alley. 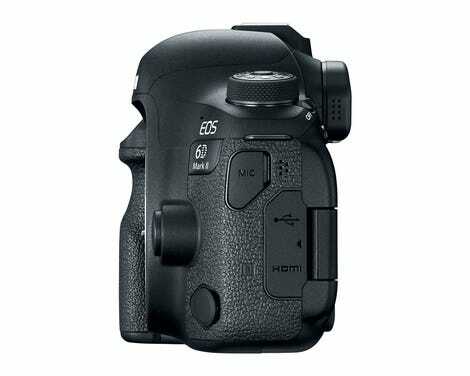 As with the Canon 6D, it goes on sale in late July of this year.